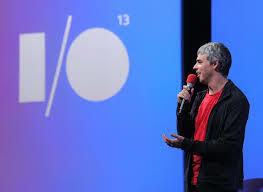 Another favourite of the techies and the hardware providers world over the Google I/O will begin on 15th May, 2013. An Android App already is available here giving out the detailed schedule and conference agenda. The search king Google though, has failed to index its own App on its own search engine. The search throws up Android Google I/O 2012 App, but visiting the page will give you the correct App. Another crazy thing Google I/O App for Android has done is when you post from the App the message is sent with a hashtag #io13. So what if its competitors send out message to everybody from it saying #io13 Buy i****e now or #io13 Buy N***a today. Now back to normal things. Google I/O stands for Input/Output or 'Innovation in the Open' take your pick. It was started way back in 2008 and focuses on technical, in-depth sessions on building web, mobile, and enterprise applications with Google and open web technologies such as Android, Chrome, Chrome OS, Google APIs, Google Web Toolkit, App Engine, and more. And this years Google I/O is going to be no different. And whats more the brand new Nexus will have a camera on the rear. It will be a 5MP one and will be accompanied by a “HD front-facing camera". The Nexus 7 will also feature NFC chip besides the regular Wi-Fi and Bluetooth presence. The Nexus 7 will also wireless charging capability to replenish its massive 4000 mAh battery. The most important part which will interest all Android lovers and followers is that this Nexus will run on Android 4.3 Jelly Bean and not Key Lime Pie as many expected. There is no word on internal storage the device will have but it should come up with 16GB and 32GB versions. Will keep you updated on the happenings at the Google I/O conference when it kicks off on 15th May 2013. Till then kindly post in your comments on this article. Thanks Bittu, hope you read my other posts also. not yet i just came to know abt yr blog through one of my friend and i started.keep posting yr blog is very very amazing.